Derek Mes, Adjeleian Allen Rubeli Ltd. 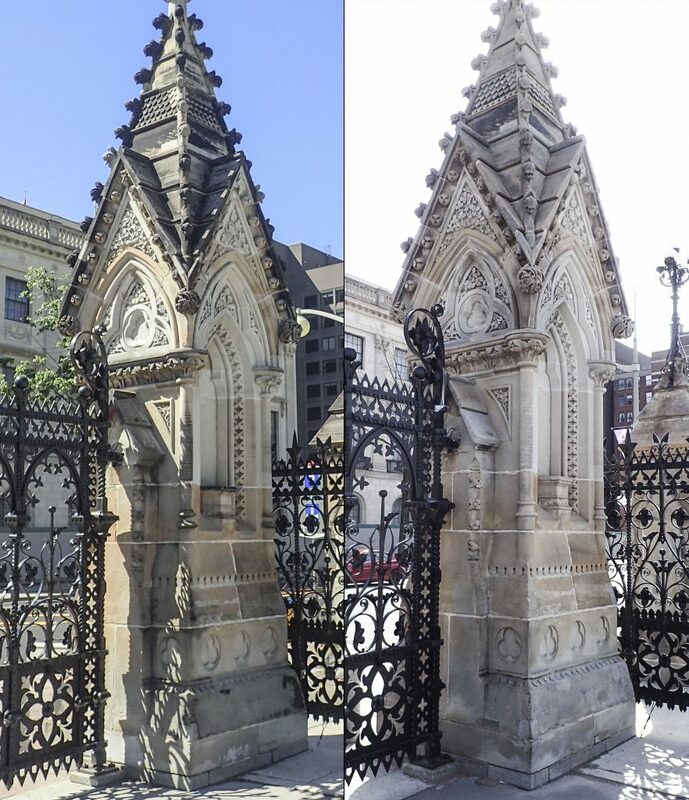 The sandstone and ironwork Wellington Wall is considered a defining element of Parliament Hill. 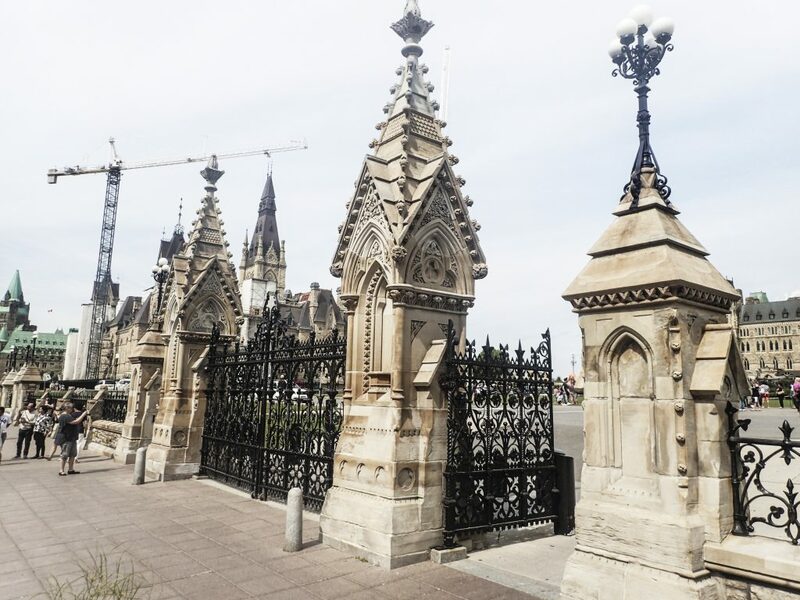 Built in 1872-75 and designed in the Gothic Revival style of the Parliamentary complex, it also shares a similar construction system and rich material palette with many of the Parliament Buildings. 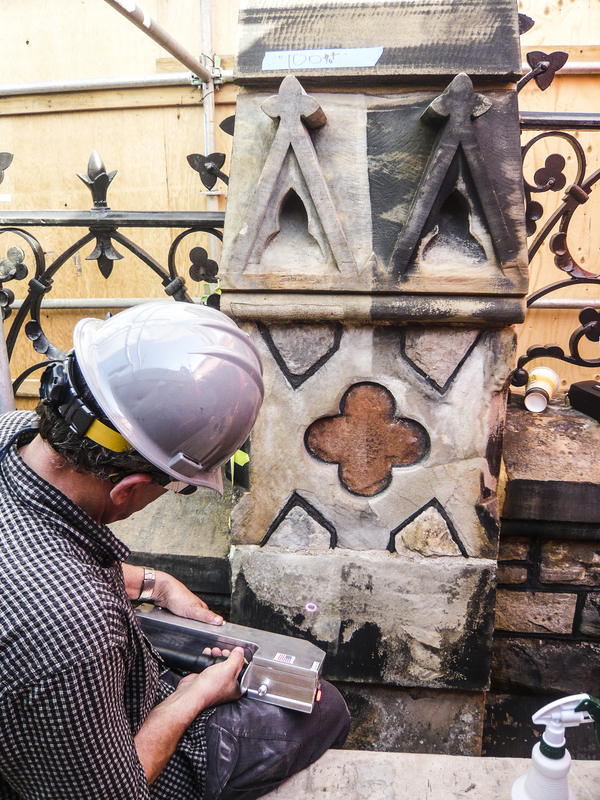 Subject to several previous restoration campaigns, the Wall was in need of generalized preservation. 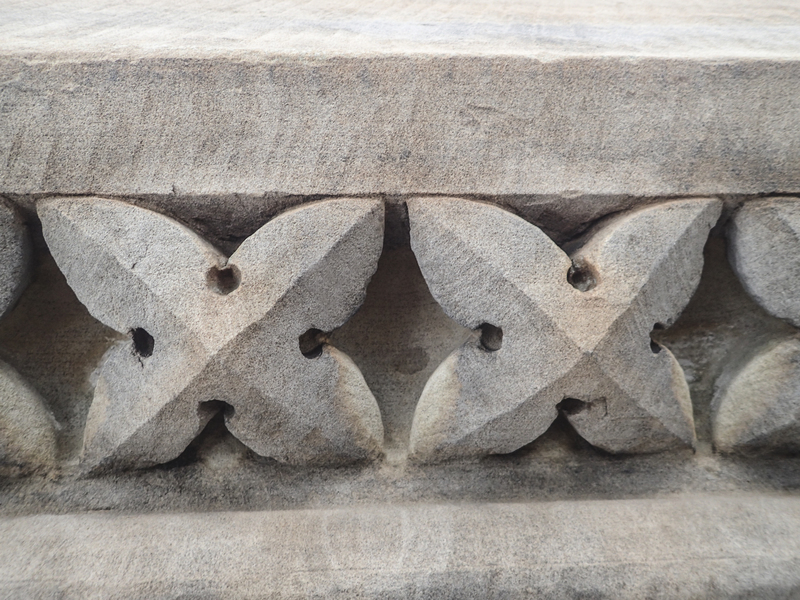 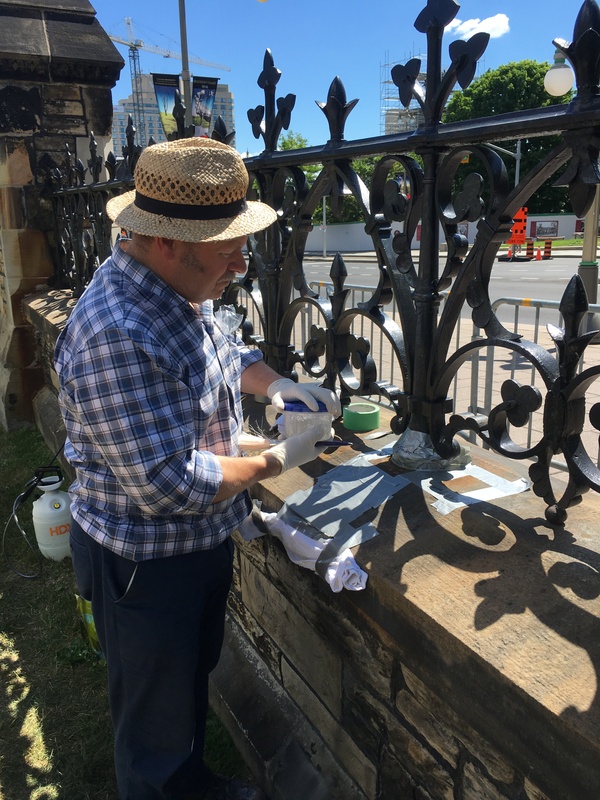 As an early project and to coordinate with Canada’s sesquicentennial celebrations, Public Services and Procurement Canada (PSPC) in May 2016 mandated EVOQ Architecture (formerly FGMDA) to survey existing conditions, prepare contract documents, and review masonry cleaning. 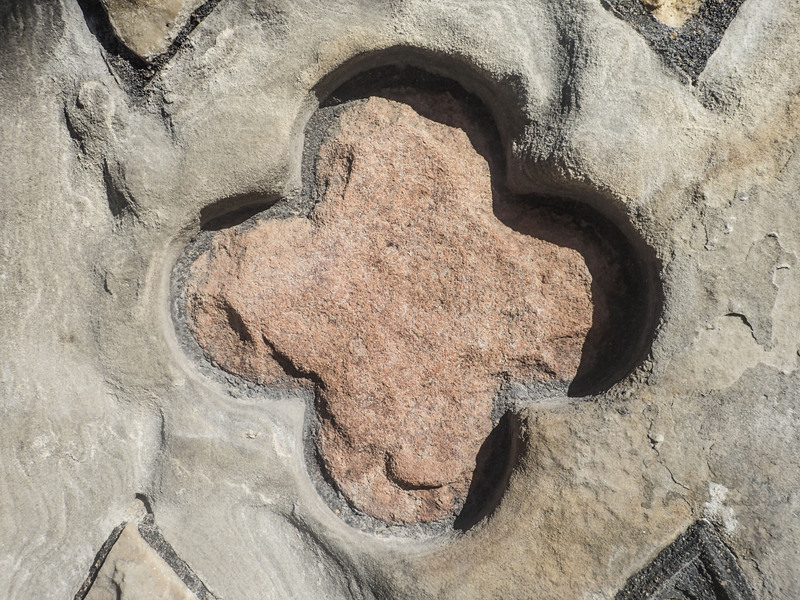 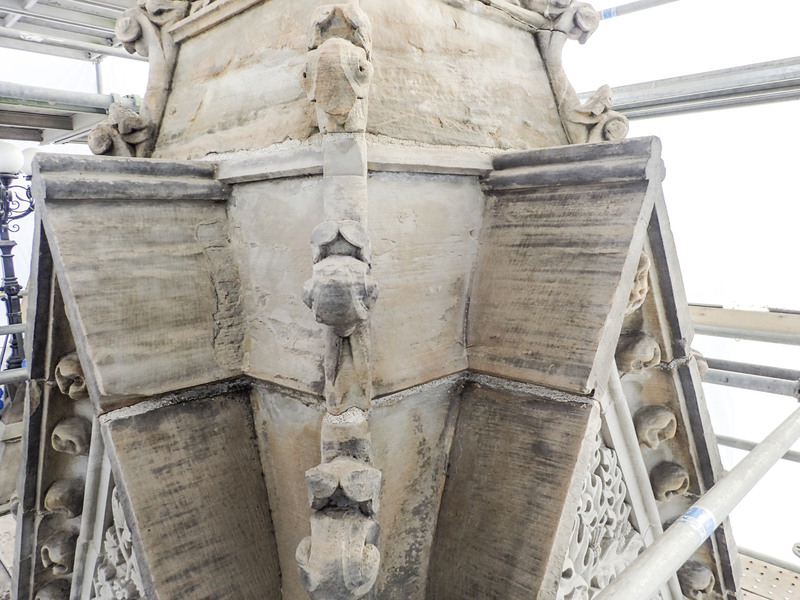 Although PSPC favoured laser ablation from the outset—based on previous experience cleaning buildings with the same sandstone types as the Wall—the Wall’s unique deteriorations and staining were ultimately cleaned using a combination of methods and settings evaluated in pre-construction tests and mock-ups. 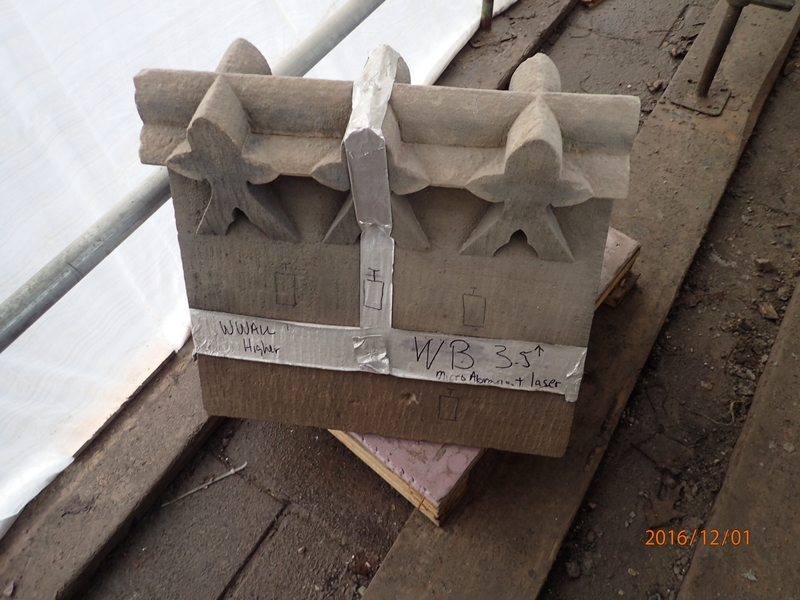 The construction cost was $1.4M; the work began in October 2016 and was completed in February 2017.